Friendly polite staff, good price for breakfast, comfortable rooms, only gripe was the shower, as the attachment on the wall was broken and you had to hold the shower with one hand to wash.
Where to find Farra di Soligo hotels near an airport? 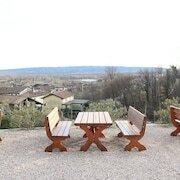 Where can I find hotels in Farra di Soligo that are near tourist attractions? Are you planning to spend some time in Treviso? 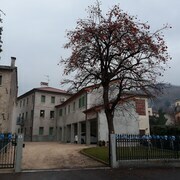 Hoping to find a place to stay in Farra di Soligo? There are 9 Expedia-listed apartments and hotels within a 0.1-kilometre (0.06-mile) distance of the heart of town. 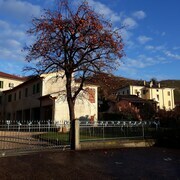 There are only a small number hotels within easy walking distance from the center of Farra di Soligo. The Agriturismo Villa Maria is an ideal option as it's only 3 kilometres (2 miles) away. 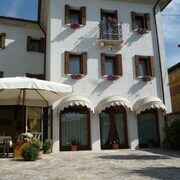 The Locanda Ai Archi is one of a few more economical accommodation in Farra di Soligo. 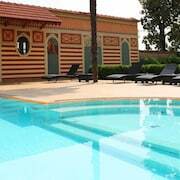 The Hotel Villa Cipriani is situated 19 kilometres (12 miles) from the middle of Farra di Soligo. 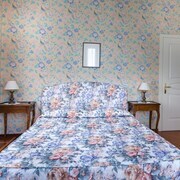 Or, alternatively, the Maison Matilda can be found 30 kilometres (17 miles) away. If you'd prefer, you could check out the rates and amenities at the Albergo Al Sole or the Hotel Villa Soligo. Looking for more things to do? Consider spending a few hours visiting Villa Barbaro and Castle of Caterina Cornaro, in Asolo, 20 kilometres (13 miles) to the southwest of Farra di Soligo. 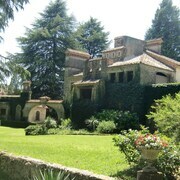 If you'd like to stay in Asolo, check Expedia's booking pages for the latest deals at the Hotel Asolo and B&B Pleris. Alternatively, you could consider staying at Valdobbiadene, 8 kilometres (5 miles) to the west of Farra di Soligo, where you can choose from the Hotel Vecchio Municipio and Hotel Diana. Regardless of whether you're passing through or spending a few nights in Valdobbiadene, be sure to visit the Nino Franco and Pianezze Avventura. If you are really into sports and love watching games you could make a trip to Stadio Friuli, which is 85 kilometres (54 miles) to the east of Farra di Soligo. Book accommodation nearby to the action at the Astoria Hotel Italia or the Ambassador Palace Hotel. Located 30 kilometres (18 miles) from Farra di Soligo is Treviso Airport. 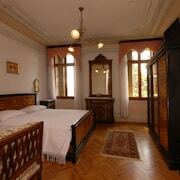 Stay nearby at Hotel Villa Contarini Nenzi or Residence Palazzo Brando. What are the most popular Farra di Soligo hotels? Are there hotels in other cities near Farra di Soligo? What other types of accommodations are available in Farra di Soligo? Explore Farra di Soligo with Expedia.ca’s Travel Guides to find the best flights, cars, holiday packages and more!